Organizations Change Starting with People. People Change Starting with Emotions. This book shows you why… and how. Alan Deutschman, author of Change or Die and Walk the Walk. 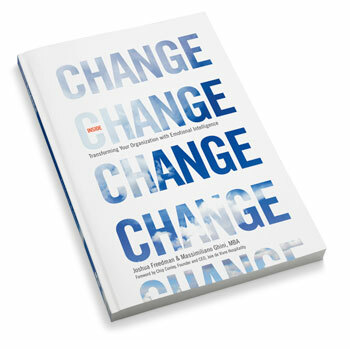 Drawing on a decade of experience applying emotional intelligence to leading change, Joshua Freedman (COO, Six Seconds global) and Massimiliano Ghini (Regional Director, Six Seconds Europe) provide a practical roadmap for making change work. Whatever your approach to change, whether you’re driving LEAN or following the Kotter steps or supporting people in the Prochaska stages, you’ve seen that the human side – the emotional dimension – will make or break the process. After all, less than 30% of change efforts succeed… and over 70% of the failures are due to people challenges. How do you make sure you’re in the 30%? The Six Seconds EQ model is one of the best. Everyday I learn new thing. What I most like is to be able to make positive change and leave an impact.